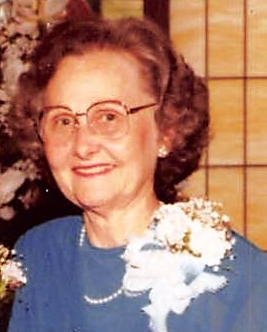 Elizabeth Ann Dobbs, age 92, of Trussville, passed away February 12, 2019. She was a member of Trussville First Baptist Church and was preceded in death by her husband Buster Dobbs, daughter Peggy McGinnis, grandson John Roger Gilbreath, brothers Eugene, Emmett, Ralph, Edwin, Fred, sisters Nell, Maxine, and Ruby. Chapel services will be held on Friday at 3pm with visitation from 2pm until service time. She is survived by her son David Dobbs (Sharon), grandchildren Donna Causey, Kelley Judson (Mark), and Dori Weldon (Tyler), 2 great grandchildren Bobby and John Whitehead, 3 great great grandchildren, numerous nieces and nephews.